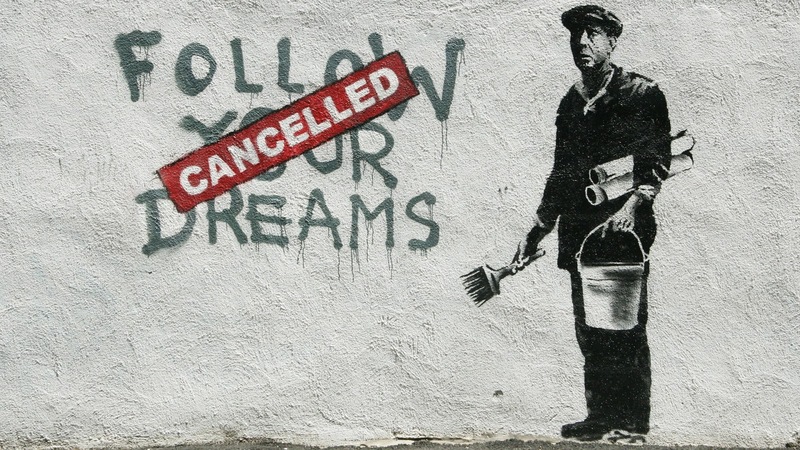 Banksy is the pseudonym of a "guerrilla" street artist known for his controversial, and often politically themed, stenciled pieces. 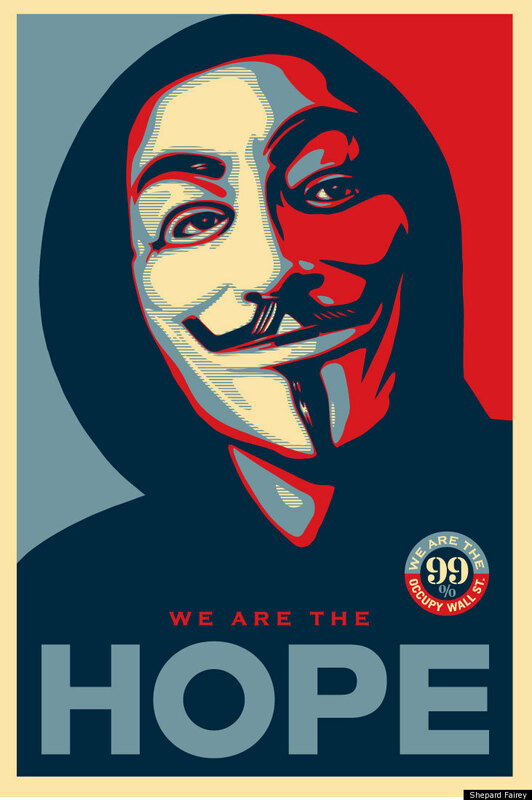 Frank Shepard Fairey is an American contemporary street artist, graphic designer, activist, illustrator and founder of OBEY who emerged from the skateboarding scene. Sandra Fabara was raised in Queens. 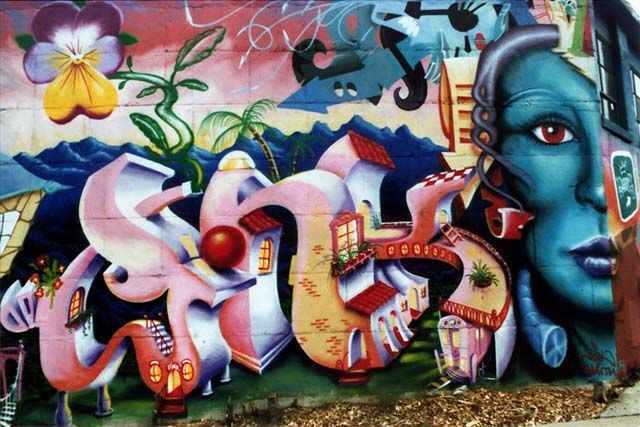 She started her graffiti writing career in 1979 following the loss of a boyfriend who had been sent to live in Puerto Rico after he had been arrested. She exorcised her grief by tagging her boyfriend's name across New York City. Soon after she started tagging the name Lady Pink, derived from her love of historical romances, England, the Victorian period, and the aristocracy. Lady Pink studied at the High School of Art & Design in Manhattan. 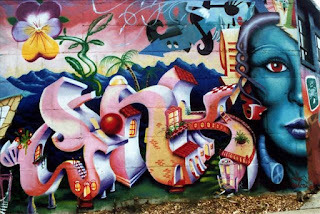 While a student there she was introduced to graffiti and began writing at age fifteen. Within a few years LADY PINK began running with TC5 (The Cool 5) and TPA (The Public Animals) graffiti crews. Lady Pink painted New York City Subway trains from 1979 to 1985. In 1980, she was included in the landmark New York show “GAS: Graffiti Art Success” at Fashion Moda, which traveled in a modified form downtown to The New Museum of Contemporary Art. 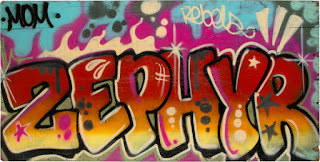 Zephyr is a graffiti artist, lecturer, and author from New York City. 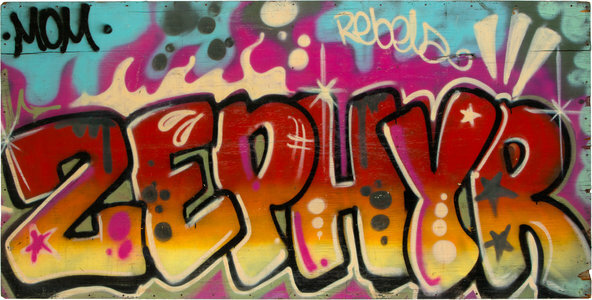 Born Andrew Witten, Zephyr began his art career in 1977, painting his Zephyr moniker on subway cars. 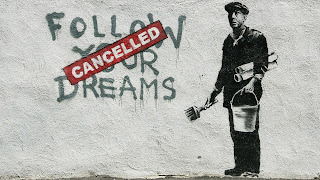 He was part of the first wave of graffiti artists to make the transition to galleries, collectors, and commercial work. 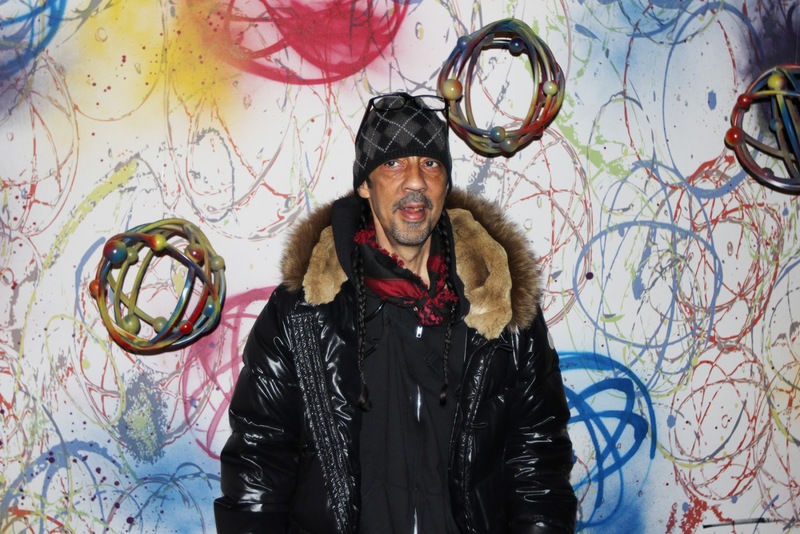 In 1982 he was part of the original group of artists to form the FUN Gallery in Greenwich Village, New York, which at the time also included such art icons as Futura 2000, Kenny Scharf, Keith Haring, and Jean-Michel Basquiat. In 1983, his art was part of an exhibition that toured Japan which also included Fab Five Freddy, Dominique Philbert, Futura 2000, and Dondi White. 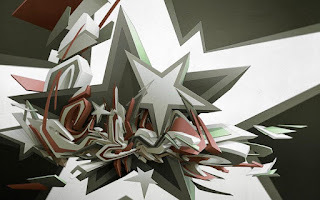 That same year, Zephyr was hired by Director Charlie Ahearn to design and art direct the title sequence for the first hip-hop film, Wild Style, in which he was also featured. Above is an international street artist who chooses to deliberately keep his identity concealed. 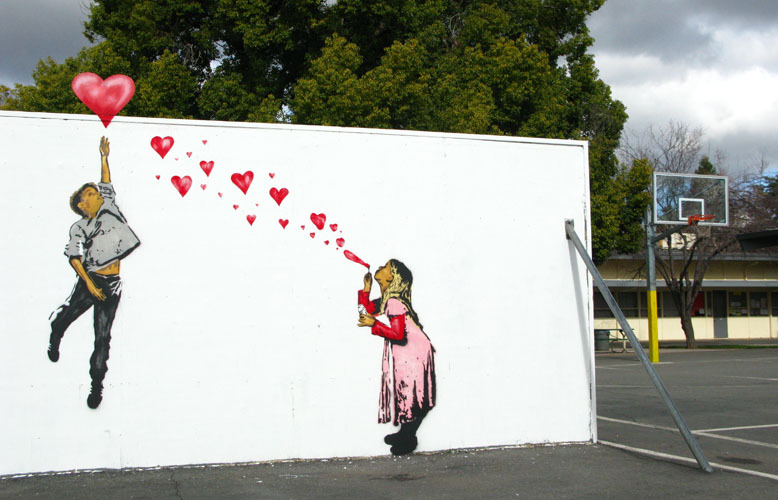 Above is known for his multitude of different mediums he paints. He is best known for his multiple layer and full color social and political stencils, spinning wooden ‘arrow mobile’ installations, and large witty word play text based mural paintings. Above started traditional graffiti by tagging freight trains in California in 1995. At the age of 19, Above moved to Paris, France where he started painting his trademark arrow icon pointing ‘above. Since 2001 Above has self financed annual tours around the world, with each tour exploring a new part of the world and often a new medium or style of artwork. This dope quote is from one of most outstanding writers in New York, who worked on groundbreaking projects in the early days, got graffiti considered art and was one of the few graffitists to paint an entire train from top to bottom and front to back, as he started with Subway Graffiti in 1974. Quinones cited Simon & Garfunkel “Sound of silence” song, pointing out the line: “The words of the prophets are written on the subway wall”. 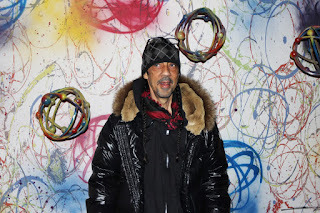 Futura 2000 is an old-school New York graffiti writer who used to paint trains there. About this one, he says, "That piece was a total departure from anything previous. I understood that I could do other things with spray paint and I wanted to experiment. The result was that car and two others in different colors. I was lucky to have (SEEN) catch that one, with the windows up because the others all got buffed or dogged. I had always thought of myself as a writer, tagging insides and other highly visible locales. But the transition to painting outsides and let's say, whole cars was obviously the move. I'm just lucky, I was even there. I really can't explain the mystery. Suffice to say I have had a nice little run."